3. Email Address so that I can contact you if you win. 4. What do you like / dislike about my blog ? Giveaway ends at exactly April 2, 2011 11:59 PM (Philippine Time). One lucky winner will be chosen via Fruit Machine on my birthday April 3, 2011. Hapy Birthday in advance Hollie!Hope you don't mind if I join...I haven't tried most of those stuff and would love too! thanks for being generous! Your answer: I LOVE YOUR REVIEWS!! You have a review for EVERYTHING!! My birthday is coming up too! Your answer: i like that your blog is very organized and that the products you review can be afforded by many! Your answer: I love that you take the time to review products and give specific details on it. They are really helpful! Advanced Happy Birthday Hollie!!! I'm so glad you invited me to join this giveaway, just hope I win!!!! Your answer: i so love ALL your honest prod reviews and I also appreciate the fact that you are so generous for hosting your first ever giveaway, hope I can do that too in the future...I can't think of any dislikes I SWEAR!!! Your answer: I love your reviews. 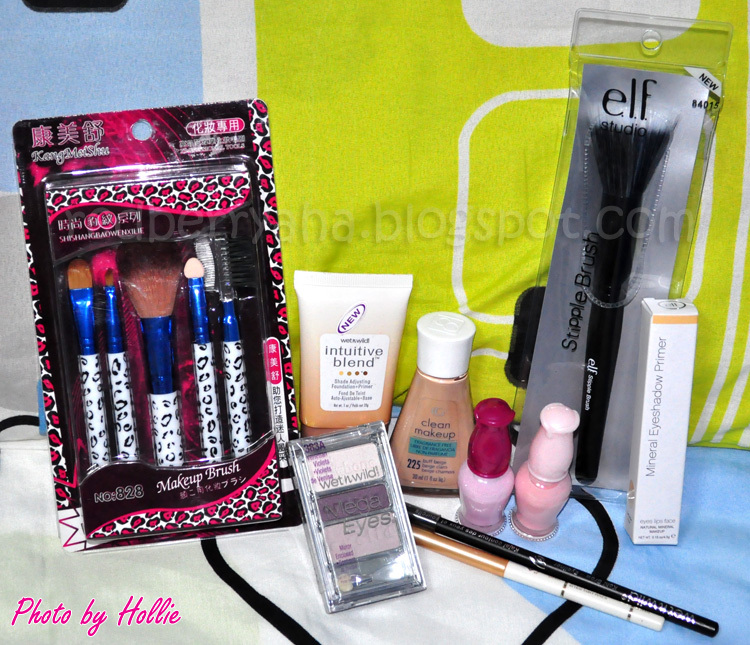 :) 'Cause you review cosmetics that are affordable yet chic. Your reviews are useful! I don't like the music widget. Why? 'Cause when I clik to new tabs nagkakasabay yung songs. Kinda noisy. But I can mute the volume of my speaker so it's no biggie. Advance Happy Birthday!!! I wish you continued happiness and success in everything you do. There is actually nothing I dislike about your blog. Sorry, I had to repost. Your answer: I've just recently started following beauty blogs. I find your reviews helpful. Thanks for your entries ladies. Please make sure to click the on the verification link in your email to verify your RSS subscription. Your answer: I actually searching for Cebuana's Beauty Blogger and when I found your blog I followed right away before i found this GIVEAWAY! ^_^ I love reading your post and reviews. I like your blog because I enjoyed reading it! Subscribed via Feedburner/RSS: Yes/ Email Subscription Confirmed!